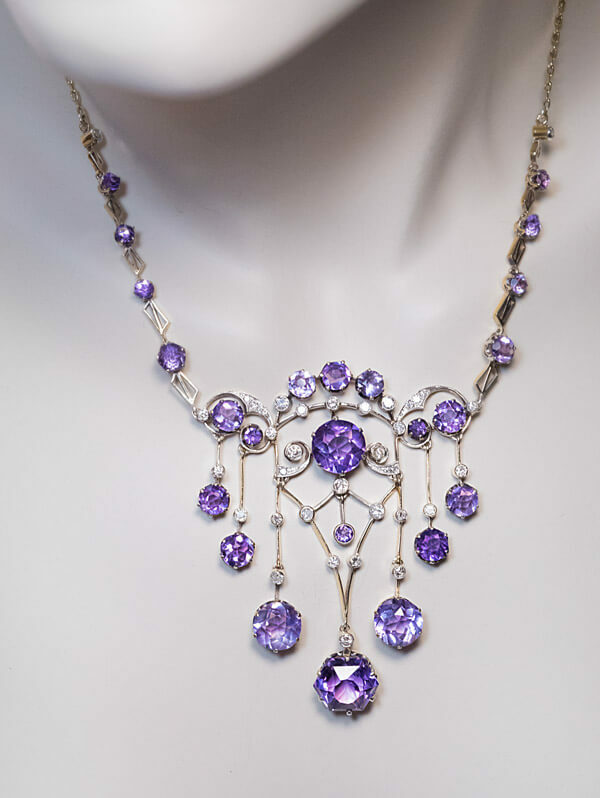 The necklace is handcrafted in gilded silver and set with sparkling lavender purple Siberian amethysts and diamonds. 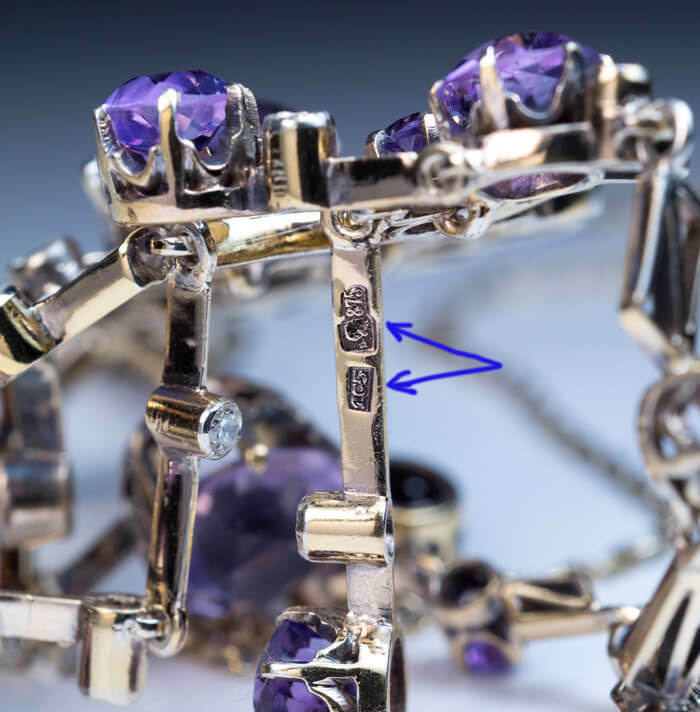 Marked with maker’s mark and a later assay mark for 875 silver standard. 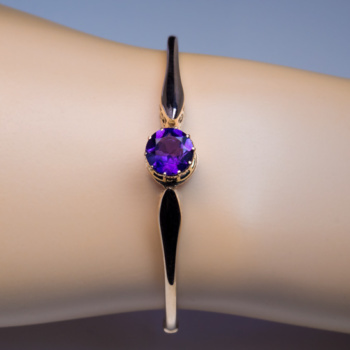 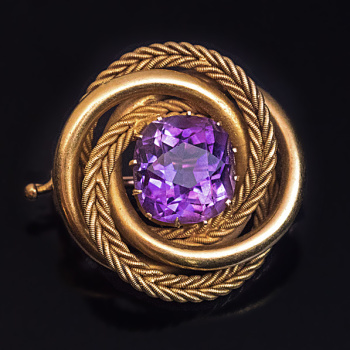 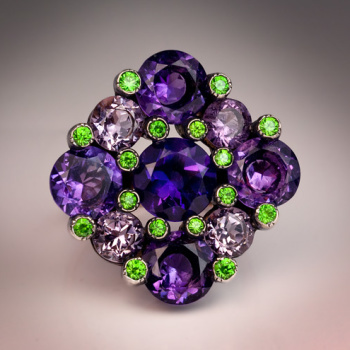 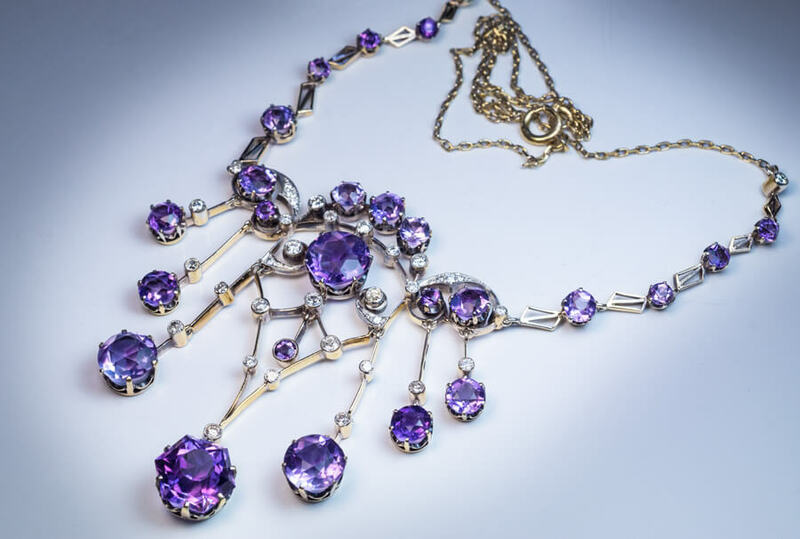 Russian Siberian amethysts are mostly known for their deep purple color with flashes of red. 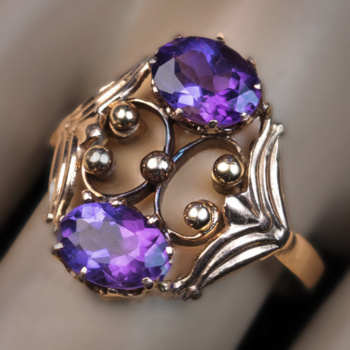 Not all Russian amethysts are of a dark purple color. 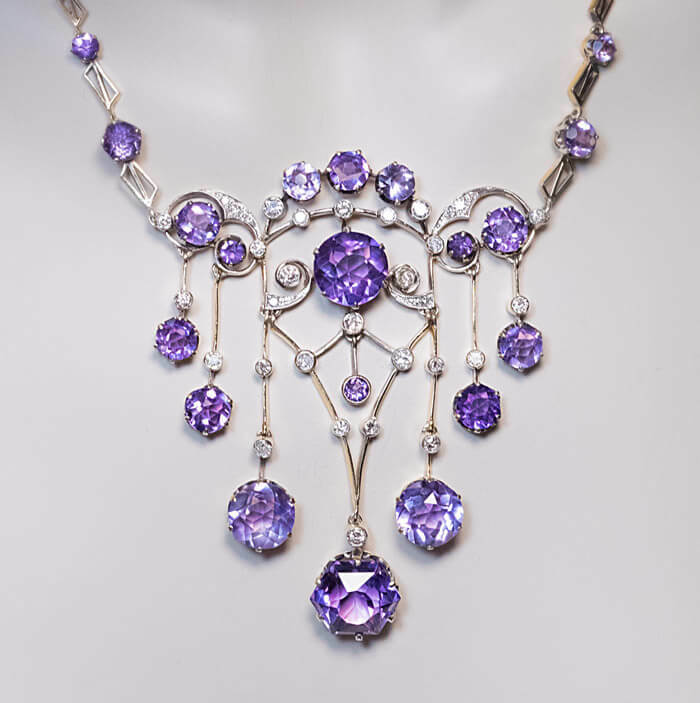 This necklace is an excellent example of lighter colored Siberian amethysts which have much more sparkle than darker colored stones. 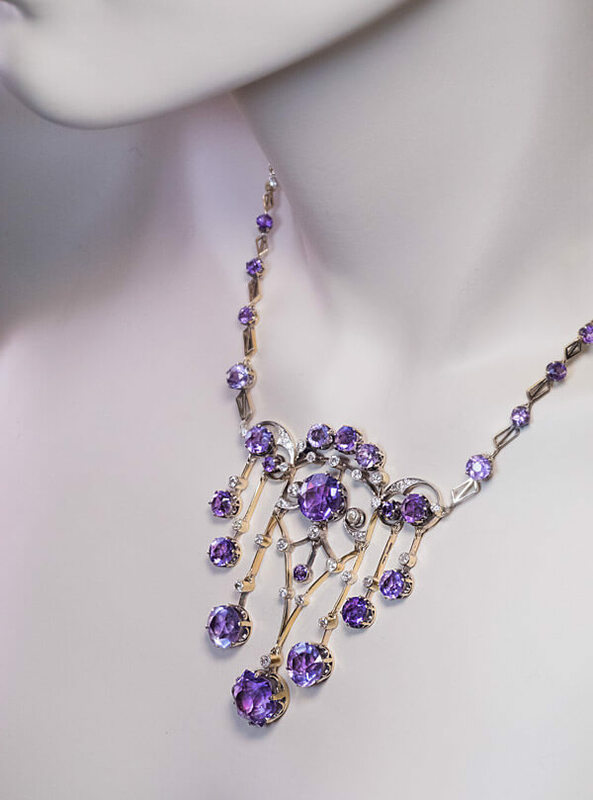 The amethysts in this necklaces are ranging in color from medium purple to pale pinkish-purple. 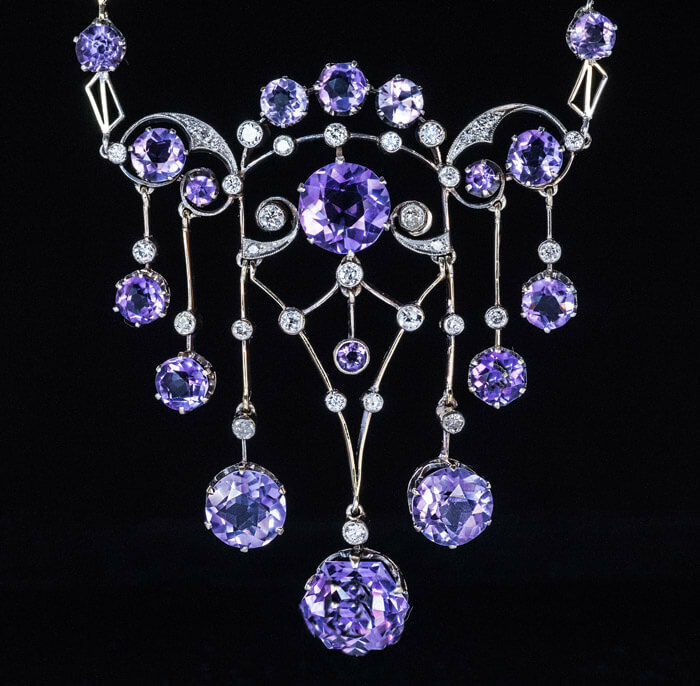 All stones have incredible fire and sparkle.